When you really want to see a close-up of that interesting bird that just came to your feeder you will probably want to consider a good set of binoculars. Choosing the best bird watching binoculars really comes down to individual preference. What’s important to you may not be important to someone else. The pros always say go for the most expensive set of binoculars that you can afford. The good ones start at around $350 and can go up to over $1800 or more. My husband and I tend to agree with them and get the best set of binoculars that we can find. A good set of binoculars with clear, crisp viewing will give you the detail a the feathers, eyes, wing marks, colors, beak, feet, etc. Types of finches can look pretty similar to others and good binoculars can help. However, if you are just starting out and really do not want to spend that kind of money there are decent ones around $100. Just make sure to get 8x the magnification and not 10x (see information in next paragraph) because typically flaws increase as magnification increases in the cheaper models. 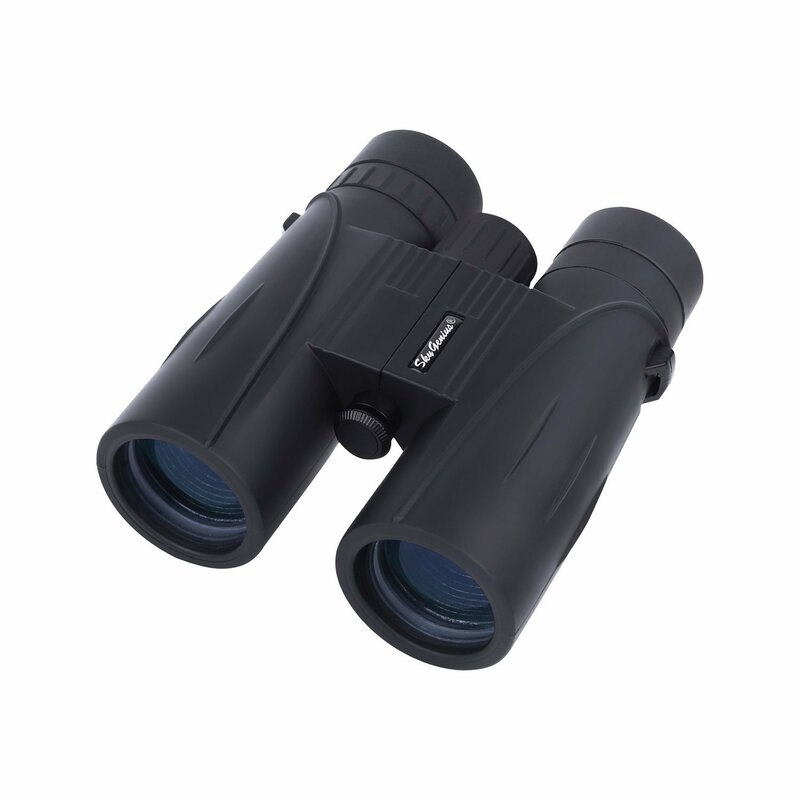 Binoculars are categorized by a set of numbers such as: 7 x 35, 8 x 42, 10 x 50, and so on. The first number is the magnification which means how many times closer an object will appear. So for example, the 7 x 35 binoculars will be seven times closer, the 8 x 42 will be eight times closer, the 10 x 50’s will be ten times closer. Most birdwatchers choose either the 8x or 10x magnification. Deciding between the two is up to you. 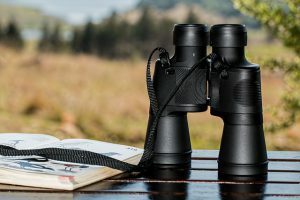 Keep in mind that the 10x binocular, while it is better at long distances it also has a narrow field of view with a slightly darker image in low lighting. With an 8x binocular you get a smaller image that is wider, brighter, and easier for finding and following the birds in a tree or whatever. The second number on the binoculars is the the diameter in millimeters of the objective lens (front, big, fat lens on far side). This means that the 10 x 50 binoculars has a lens size of 50mm for example. The lens is where the light enters the binoculars. The bigger the lens, the greater the light capacity which makes the bird appear brighter and that means you can see more detail and colors. However, the bigger the lens the more bulky and heavy it is when you carry it. If you are doing a lot of walking you may not want the bigger lens. A 50mm lens is probably as heavy as you want to go unless you are using them sitting in your backyard. Most birdwatchers prefer binoculars that are 8 x 40 or 8 x 42. They are the best combination between magnification, physical size, and light gathering, while making virtually no compromises. So to make this more simple to understand, my husband and I have several different pairs of binoculars with different size magnifications and lenses. If we are for example, if we are taking a hike in the woods birding or sitting in our backyard watching the feeders we will use the 8 x 42 binoculars. If we are checking out the bald eagles flying high in the sky we will use the long range binoculars 10 x 50. Or we will get out the spotting scope for an even better close-up view. The best way to determine which binoculars are for you is to go to the sporting goods or optic store and try them out for yourself. Go to a darker area of the store to see how the binoculars work in different light settings and compare the more expensive sets versus the cheaper ones. You should notice a huge difference and it is up to you to decide what is most important . A good set of binoculars will get you a decent close-up of a bird in your yard but if you want to be able to get a close-up view of shorebirds in the mudflats, ducks on the lake, or bitterns in the marshes you will want a spotting scope. My husband was able to spot a bald eagle flying over our yard just this past April with his spotting scope. That was pretty exciting here in our little neighborhood in Union, Kentucky and he wouldn’t have been able to identify it with binoculars so having the scope helped for sure. 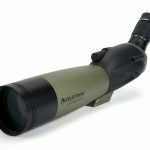 Spotting scopes have incredible magnification in a fairly simple and lightweight package. So you can carry them into the field pretty easily. In general, a good magnification range for your bird watching spotting scope is between 15-60x. Anything below 15 is just like using binoculars. Anything above 60x and the field becomes too narrow and image brightness begins to dim, especially a problem in low light conditions. The preferred magnification by birders is 20 – 40x because it gives the best field of view and image brightness for bird watching. There are many different types of scopes available too. From the easy handheld scopes to mounting scopes that you put on a tripod. Just like binoculars you have to go check them out for yourself to see what works best for what you want. Or you can check out reviews online to see what other birders are giving high ratings to. If you want to be able to identify a bird at your feeder the best way that my husband and I have found is to first take a picture of it. Then you can get your bird book out and find out what it is. Some birds can be very similar to each other with the only difference being a white streak along the eye or different colored feet. So having a photo helps tremendously. My husband swears by his Sibley. 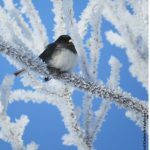 The Sibley Guide to Birds provides detailed information about birds and their habitats that they are found in. Plus, it provides pictures of the juvenile versus the adult appearance as well as where in the United States the bird can be found. There are other bird books out there that may work better for you. You might not want all the detail that my husband wants especially if you are new to birding. There are beginner’s books out there too. Just remember to get the book for your location. There are eastern bird books, western bird books, midwestern, and so on. My husband keeps a log of the birds that come through our yard noting the date and location. In spring migration when some species are just flying through you want to be lucky enough to see them in the trees or at your feeders as take a break before moving up north (warblers for example). Most of the warblers do not stay very long before they move northbound for the summer months. So by having the notebook he has a good idea as to when to expect them so he doesn’t miss seeing them. He also checks the local ebird reports which is a good resource where birders report sightings in the areas where they live. That is especially helpful for more precise timing. The hummer is another example. I want to know when the hummingbirds are back each year. I keep a log noting when they arrive in my yard so that I have a pretty good idea when to expect them. Then there are the winter birds that come down every year to our yard that I look forward to as well. For example the juncos as seen in the photo to the left (my Mom called them snow birds because they like to sit in the snow). There is also the red-breasted nuthatch, redpolls, and fox sparrows to name a few that we get here in Kentucky during the winter months. My birding notebook will tell me what time they arrived last year and when to expect to see them. 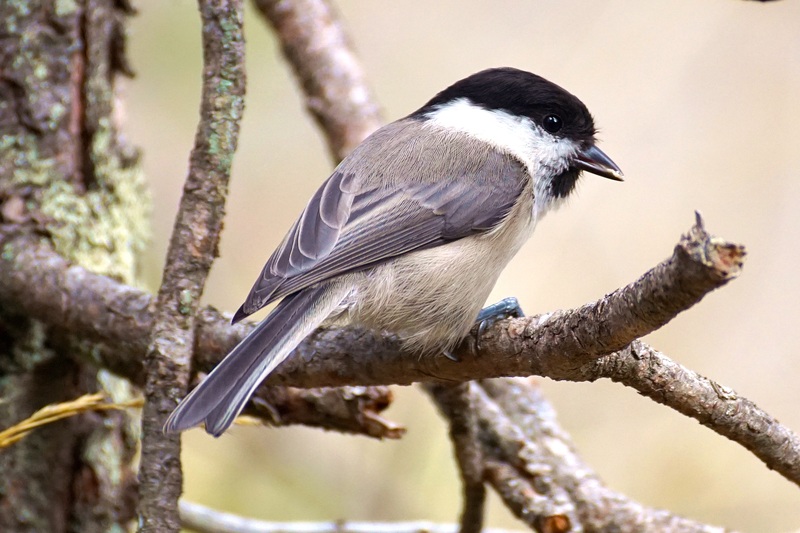 If you want to be able to see the beautiful birds in your backyard or as you are hiking in the woods and be able to identify what you are looking at it is good to have a quality pair of binoculars with you. Or if you want to check out all the ducks at the lake nearby and want to be able to see them more clearly then a spotting scope is great to have too. Then once you are able to identify the bird that you see you can log it in your notebook for future reference. If you have any comments about your favorite set of binoculars or anything about your own birding gear please do so below. I would love to hear from you.